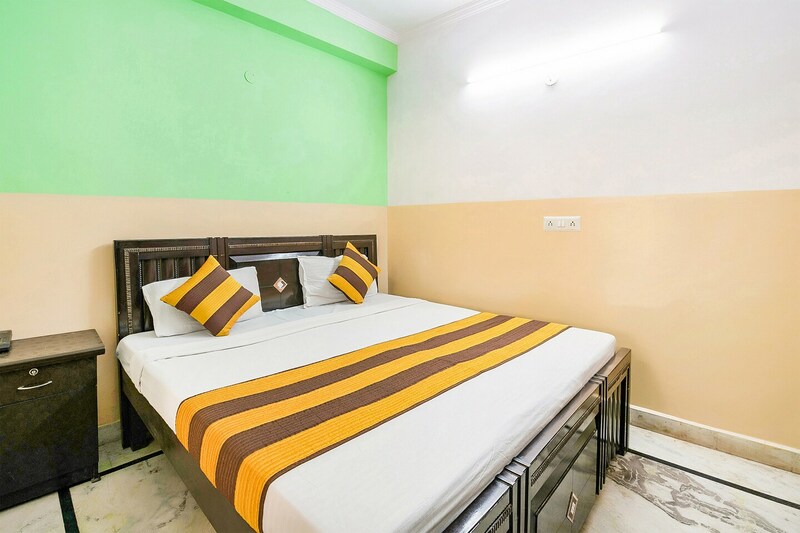 Hotel Kanchan Palace is a modern and budget-friendly property with bright rooms, located near Dwarka Sector 9 Metro in south-western Delhi. Places of tourist interest nearby are Dada Bai Wala temple, Rajan District Park, Shyam Kuan District Park, and Eco Tourist Park. The property has a kitchen and a comfortable lobby. The doors are trendy and the rooms are done up in bright hues. They are furnished trendily. The bathrooms are clean and well-maintained. Each room comes with TV, AC, queen size bed, seating area and free Wi-Fi. CCTV security and power backup are also available. Eateries in the vicinity of the property are KFC, Chai Coffee Biscuit, Cafe Flora and Shanghai Club - WelcomHotel Dwarka.